Spectacular sea views, a beautiful comfortable home with every facility. Elsinore (THIS CASTLE IS MY HOME) is an exceptionally well presented residence set on the hillside of Summercove, which is within walking distance of the Kinsale town. The property is just a 25mins drive from Cork City and 20mins drive from Cork Airport. Situated on possibly one of the finest sites within the Haven Hill development, which is located just above Charlesfort. 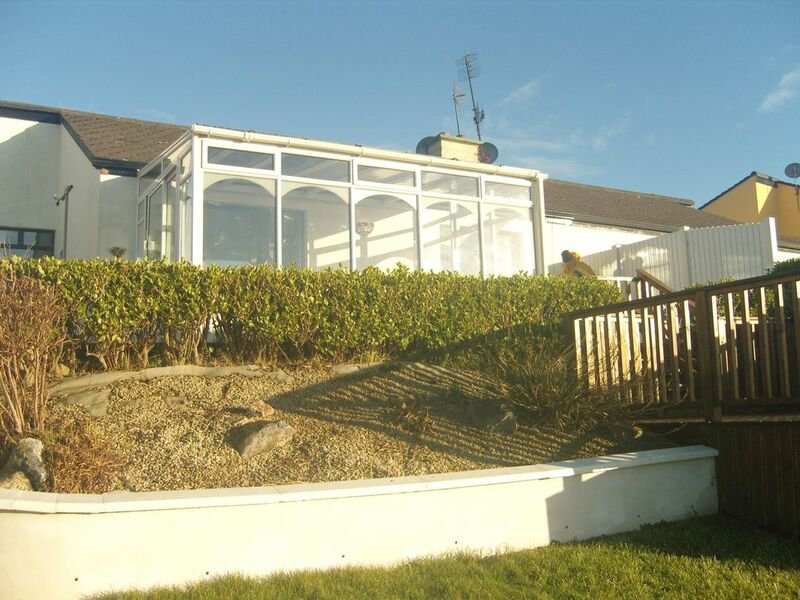 This property enjoys commanding, uninterrupted south-westerly views over Kinsale town and harbour. The outside space also consists of a large patio area which is ideal for relaxing & taking in the views. And just when you think it can't get any better, the patio leads you to a beautiful raised decking which once again highlights the breath-taking views. All taxes included. Electricity/Heating/Gas also included in price. This Property takes full advantage of the unique scenic beauty of the surroundings. Cork is the largest county in Ireland, and is known as the Rebel County. The coastline of Cork is famed for its magnificent scenery - especially in the southwest. Picturesque Kinsale is known as the 'gourmet capital of Ireland' & it boasts some of the most wonderful restaurants in the country. West Cork is renowned the world over for its wild, rugged beauty and is popular with walkers, climbers and artists alike. Further west you'll find Mizen Head and the Beara Peninsula, famous for their breathtaking rock formations, sheer cliffs and charming villages. This property has one of the best views in Kinsale . look at my reviews.This house speaks for its self. Services: Zoned oil fired central heating, insulated walls & attic, mains water, mains drainage & alarm system. New waffle maker. Essential first aid kit and fire blanket. Very well maintained with colourful flowers. Timber decking with new set of table and chairs overlooking the sea. Lounge chairs also for relaxing. Kinsale is a beautiful town and we had the best view of it. Billy is a real charmer and so eager to help. We had a wonderful time there and wished we could have stayed longer. The house is very well equipped with all the comforts of home. Would definitely rent again. We were two couples travelling in Ireland for the first time. Kinsale was lovely, Elsinore was comfortable and Billy was an unusually warm, considerate host. He met us to introduce us to the house and area; he'd provided snacks and breakfast foods so we didn't need to shop immediately. The house was clean and well equipped and the views spectacular. We were very comfortable for the week we were there. One bath is relatively spacious and one small, but there is also a half bath so that each bedroom is serviced by a toilet and sink. We'd definitely stay again and we thank Billy for sharing his family's house with us. Great, well equipped and comfortable house. Highly recommended and would definitely stay again. Billy is a great host and this is a great rental. We very much enjoyed our stay here and the walks around the forts. After a very long drive, the bottle of wine, with cereal, milk, and juice provisions were appreciated. Thank you for the little extras - a nice touch. The house was very clean and well-stocked. A very comfortable home. And that view!!!! A gem, inside and out! We would stay here over and over again! We were in Kinsale for 3 nights (not enough time really - such a beautiful town and area) and fell in love w/Billy's house, the town and with him! Billy greeted us upon our arrival to meet us and show us around. What a wonderful host. His home is immaculate, w/a lot of natural light from the sliding doors and sunroom, w/beautiful views of the harbour and the town. The pictures don't do it justice. No matter the weather you'd be toasty warm out in the sunroom and still feel like you're outside enjoying the spectacular views as there's a heater/stove - we didn't need it in August but I'd love to come in the off season and still be able to be out there. Great location . . . the house sits atop a hill overlooking the harbour and village with a deck for enjoying the outdoors morning, noon or night (sunsets, moon and stars). A 10 minute walk down the hill and you're enjoying a pint and great food on the water. Another 20+ minutes walking along the water and you're in town. Keep your eye out for the local seal that pops his/her head up to see you as you walk into town. Billy's "Elsinor" (as the house is named) is exactly what we needed/wanted - immaculate, beautiful views, within walking distance to a great pub, and within walking distance to Kinsale. We couldn't ask for anything more!! Loved it!! Kinsale has numerous outdoor activities to be enjoyed. Breath-taking walks and drives waiting to be explored. There are many well known restaurants and bars serving locally grown food and fresh fish. Also Kinsale is a perfect base to explore West Cork with its' unspoilt beaches and picturesque towns. It's the perfect location for that extra special holiday.